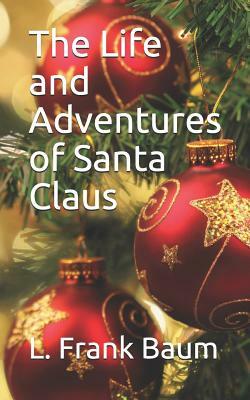 The Life and Adventures of Santa Claus by L. Frank BaumDesigned to appeal to the book lover, the Macmillan Collector's Library is a series of beautifully bound pocket-sized gift editions of much loved classic titles. Bound in real cloth, printed on high quality paper, and featuring ribbon markers and gilt edges, Macmillan Collector's Library are books to love and treasure.A baby is found by wood nymphs in the forest of Burzee. They raise him as their own and give him the name Neclaus. When he grows up, Neclaus has to leave the forest so he makes a home for himself in the laughing valley of Hohaha, where he lives amongst humans for the first time. He discovers there that many children are very poor and neglected so, to cheer them up, he whittles wooden toys as gifts. Eventually he makes presents for all the children and so the story of Santa Claus is born.Fashioned as a whimsical fairy tale, The Life and Adventures of Santa Claus was published in 1902, just two years after L. Frank Baum.